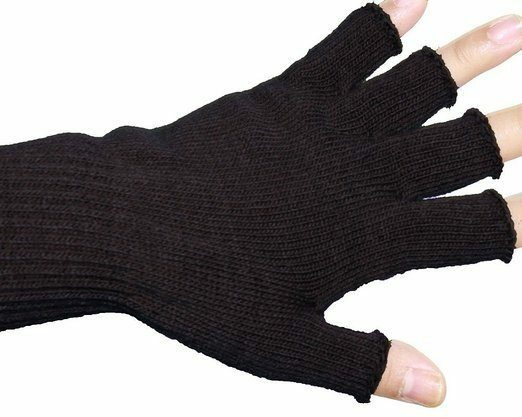 Half Finger Stretchy Knit Gloves Only $2.59 + FREE Shipping! You are here: Home / Great Deals / Amazon Deals / Half Finger Stretchy Knit Gloves Only $2.59 + FREE Shipping! Want to keep your hands warm this winter while still being able to use your fingers for text and driving (but not at the same time, of course! ), you’ll love this deal – get these Half Finger Stretchy Knit Gloves for just $2.59 + FREE shipping! I always hate having to take my gloves off to drive or to dial on my phone when it’s cold, so I’m totally grabbing a pair of these. They will DEFINITELY come in handy!